The MakerBeam system is based on Mini T-slot profiles. MakerBeamis a versatile structural system. 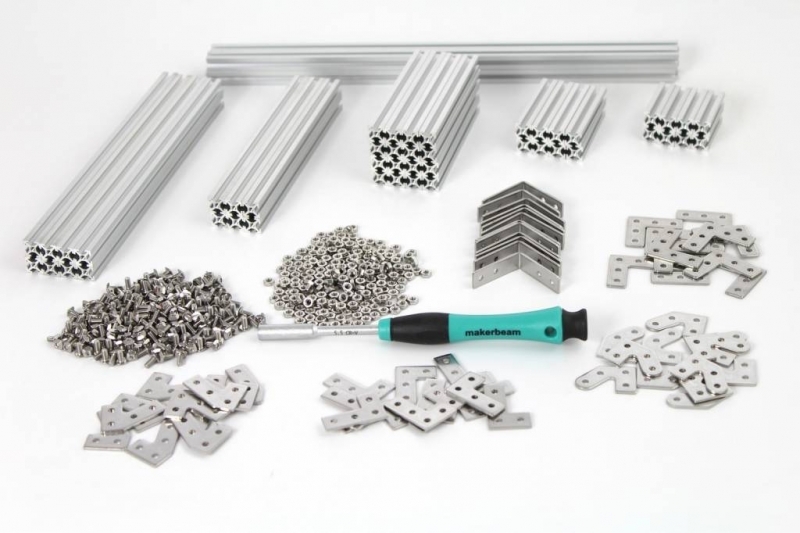 The components give you endless building possibilities in miniature size. 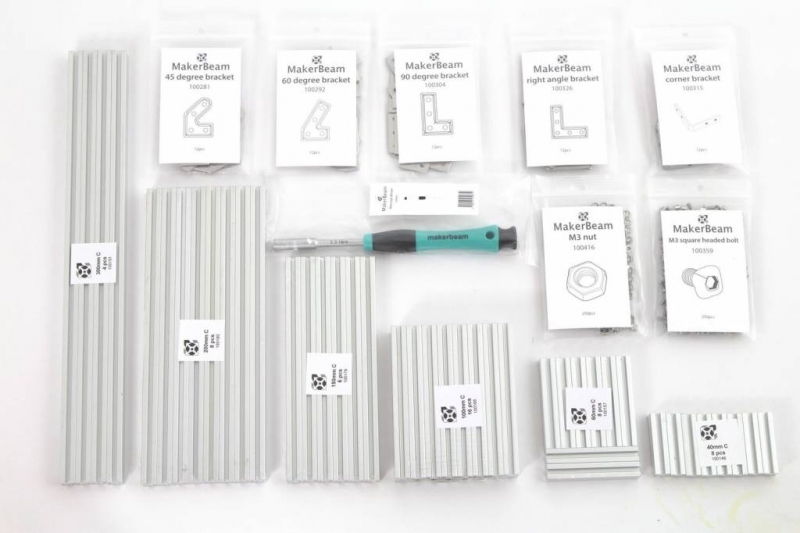 MakerBeam nuts and Bolts are M3 size. The design allows circuit boards to slot right into the sides.There are no fixed positions for mounting giving you the freedom to build your own design easily. 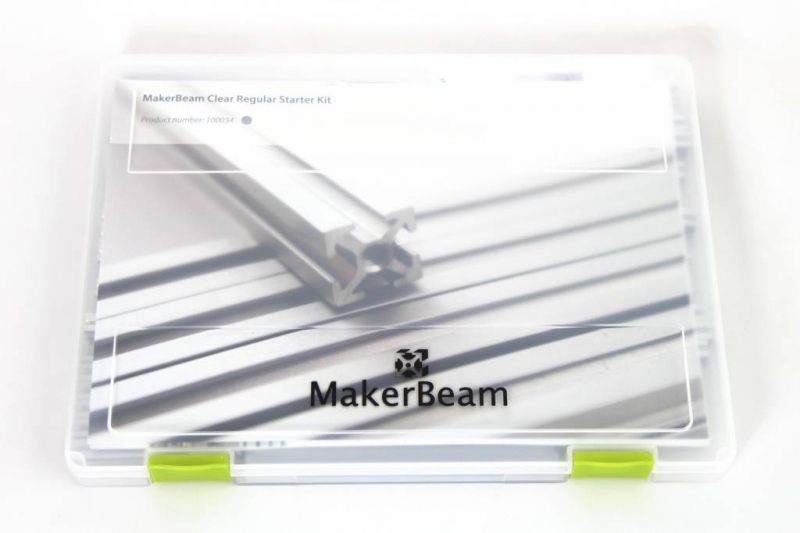 To get you started quickly we offer you our MakerBeam Starter Kit. The beams are anodised in clear and have threaded holes each end. This Product was added to our catalogue on Tuesday 29 April, 2014.